You’ll be tempted to sneak a bite of this fancy Christmas cookie ... but the beautifully personalized stocking Christmas cookie ornament only looks edible! 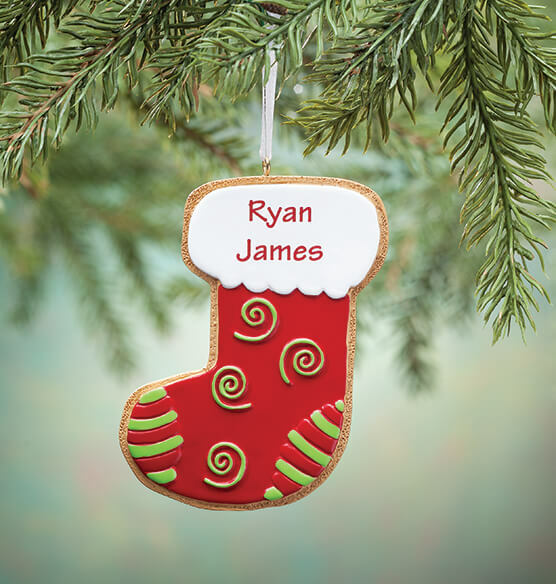 We’ll personalize this bright Christmas ornament, creating a sweet, keepsake gift. Specify name; limit 2 lines, 12 letters/spaces each. Resin. 3 1/2" long x 2 3/4" wide.